They may only look like letters on a sign to you, but sign painters play a critical role in advertising a company’s trade. Take a look at the Disney logo and how it immediately makes you think of Mickey Mouse and his cast of pals. Or the Coca-Cola logo. 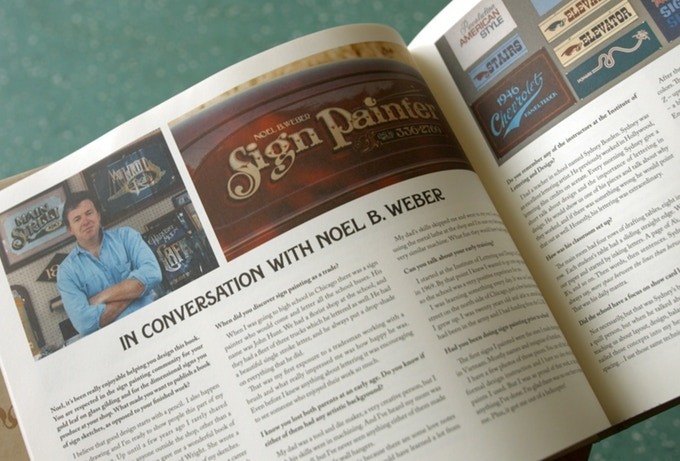 Noel B. Weber has been in the sign painting industry for over 45 years. He has hand drawn signs for various toy shops, casinos, tattoo parlors, and yes, even some Disney theme parks. For each sign made, he has produced many sketches which aim to bring out the nature of the business and draw the wandering eye to it. 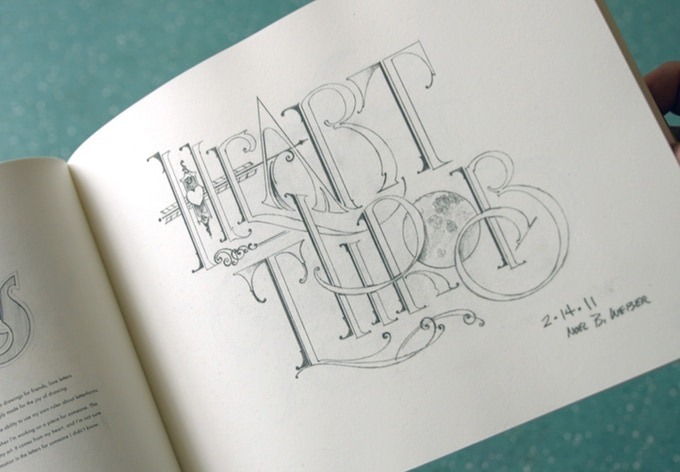 A Sign Painter’s Sketchbook features a variety of Weber’s sketches over the years. It includes sketches for various signs, windows, and lettering for the sides of boats. His clients have ranged from various small businesses to Disney to even the city of Boise, Idaho. 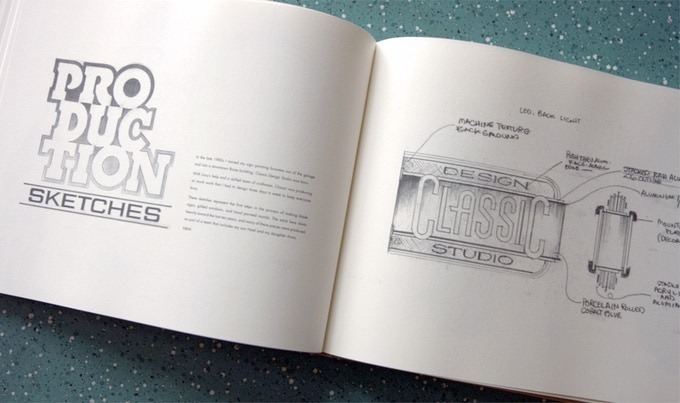 Apart from his commissioned works, the sketchbook also takes a look at Weber’s personal life, detailing his graduation from the Chicago Institute of Lettering and Design, his apprenticeship at the Diamond Outdoor in Illinois, his co-founding of the Letterhead sign painting movement, and the founding of the Classic Design Studio. It also includes some of his personal projects, such as monograms he has made for friends and love letters he wrote to his wife (done at a level of effort that many emoji-texting kids today will probably never experience). 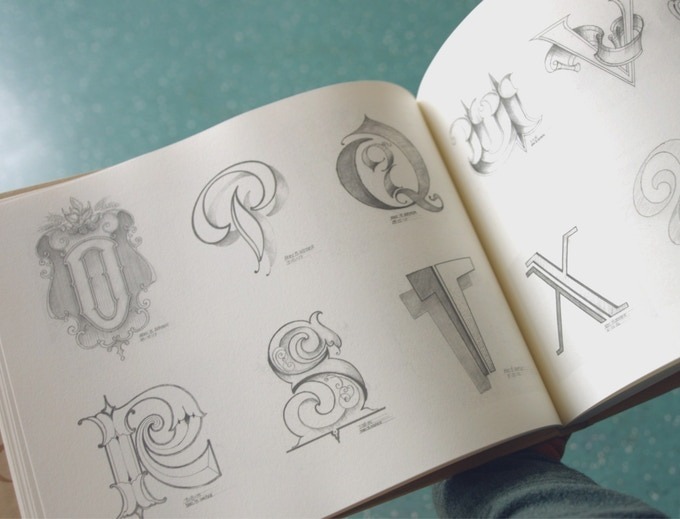 The sketchbook gives a look inside the old art of hand lettering and sign painting which used to be dying, but is now enjoying a resurgence in the Instagram Age. 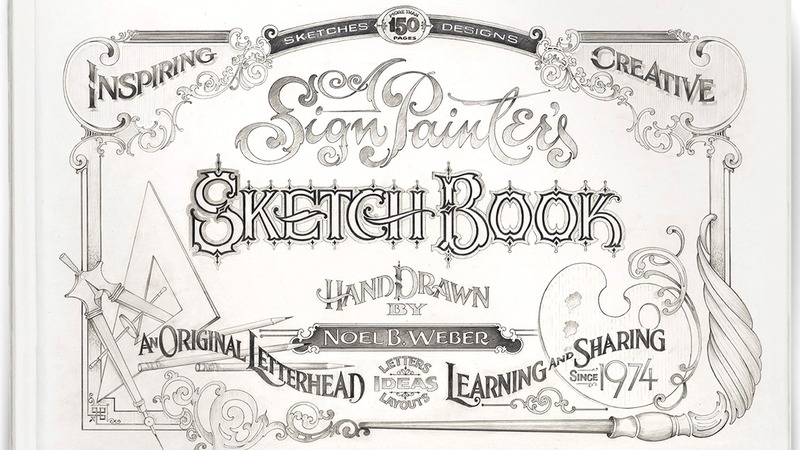 Thankfully, Weber is one of the few original sign painters who can still move his craft onto a younger generation by way of this sketchbook. 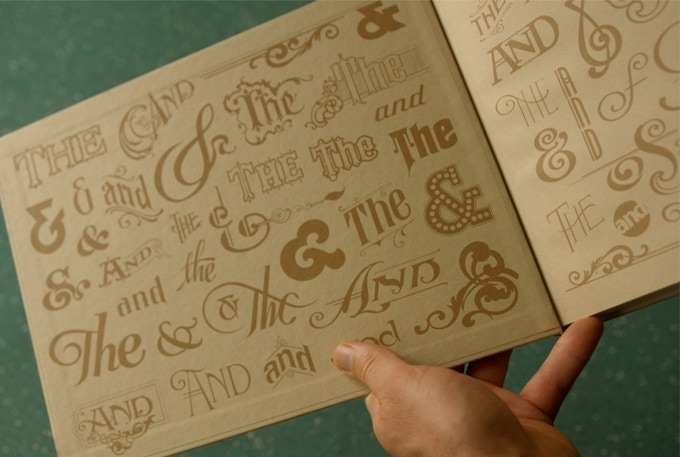 A Sign Painter’s Sketchbook surpassed its Kickstarter goal of $15,000 last and reached a grand total of $79,224. While the project has ended, you can still find out more about how to get your own copy over at the still-standing Kickstarter page. 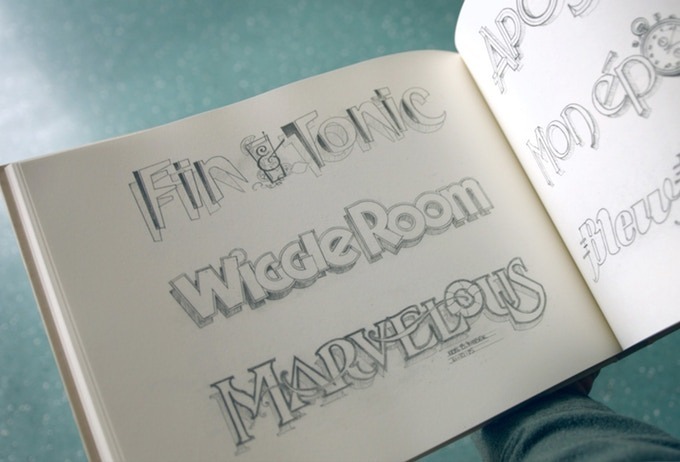 A Sign Painter’s Sketchbook surpassed its Kickstarter goal of $15,000 last and reached a total of $79,224. While the project has ended, you can still find out more about how to get your copy over at the still-standing Kickstarter page.